Wild tiger populations have declined by around 95% since the beginning of the 20th century. 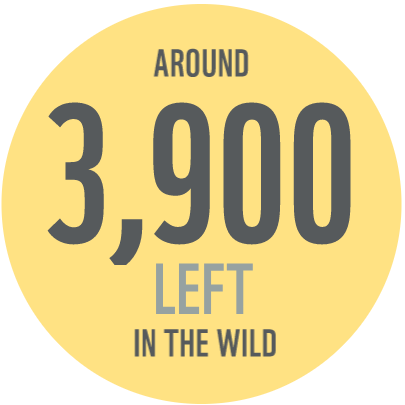 There's now estimated to be around 3,900 wild tigers. Each tiger has a unique set of stripes – like a fingerprint – and this helps us identify individuals in the wild. Since the beginning of the 20th century, wild tiger populations have declined by around 95%. Sadly, there are more tigers in captivity in the US than are left in the wild. 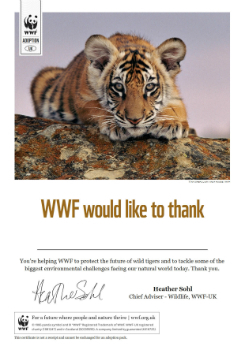 The tiger is officially classed as endangered by the IUCN. Animal adoptions like yours give a huge boost to our work. They not only help fund projects to work with local communities to monitor tiger movements, reduce poaching and help people to realise benefits from living in close proximity to wild tigers - but they also support our other vital work around the world. Give a gift that will help to protect the future of tigers and their habitats. Tigers can be found in isolated forests and grasslands throughout Asia. Their habitat is wide ranging – from evergreen and monsoon forests, to mixed coniferous-deciduous woodlands, and mangrove swamps. There are estimated to be around 3,900 tigers in the wild. The parts of at least 110 tigers were seized in Asia annually between 2000-2015. This equates to over 2 tigers per week seized in illegal wildlife trade. Mainly killed for luxury products, using their skins and bones. Gradually, tigers are being forced into small, scattered islands of remaining habitat. Tigers range has reduced by 95% since historical times. As tiger range declines, they come closer and closer to people. 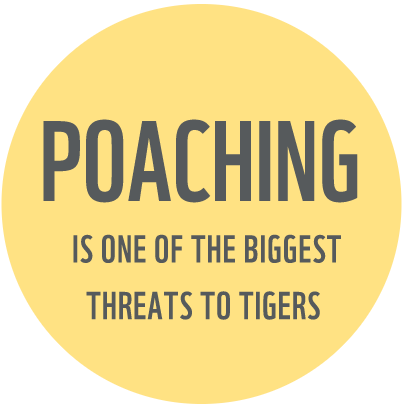 This can lead to conflict as people protect their families and livestock from tigers. Reduction in tiger prey, due to hunting and habitat deterioration, has a direct effect on wild tiger populations. We’re determined to help double the number of wild tigers to at least 6,000 by 2022 – the next Chinese year of the tiger. To achieve this, we’re focusing on conservation in 13 priority landscapes, including areas in Nepal, India and Russia. At the groundbreaking international Tiger Summit, which we helped to organise in 2010, governments from all 13 tiger range countries committed to this ambitious and visionary species conservation goal and created a global plan for tiger recovery. 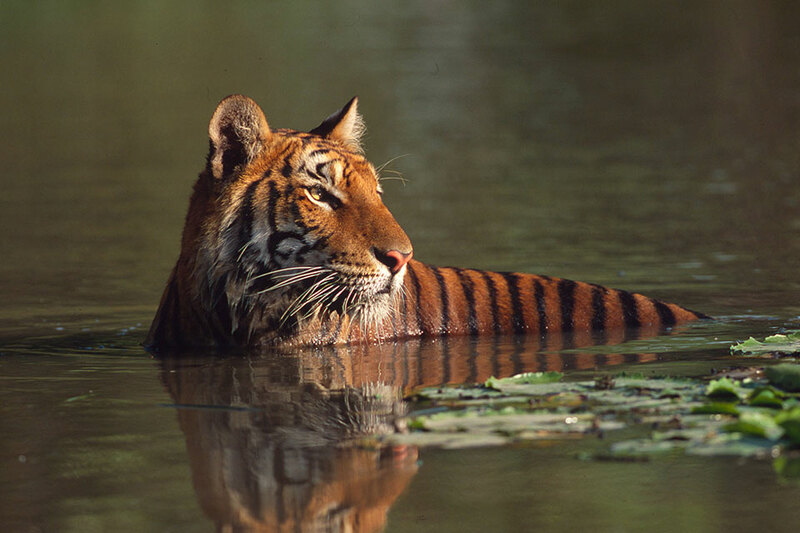 Unlike many cats, tigers like water and they are excellent swimmers.